This is a model of the Wedell-Williams Model 44 in which Doug Davis won the 1934 Bendix trophy. The Model 44 was built by the Wedell-Williams Air Service Corporation in 1931. Four examples of the type were built and they dominated air racing in the early 1930s. This is a model of the aircraft in which Doug Davis won the 1934 Bendix trophy. This model was built by John Alcorn, an award winning modeler. 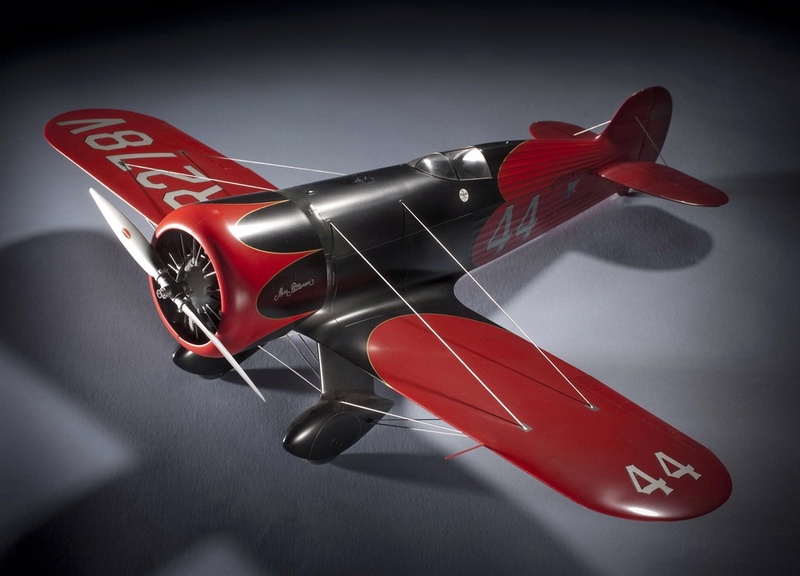 Find out more about Wedell-Williams #44, 1/16th scale.